Stay cool and safe with our high-visibility Techniche Evaporative Safety Vest. Garments are made of a special fabric which holds the cooling energy for an extended period of time. Water causes a naturally cooling effect as it evaporates. Simply submerse in water for 1 to 3 minutes, or until garment reaches the desired level of hydration. Gently wring out excess water and it's ready to wear! No freezers or cold packs necessary. 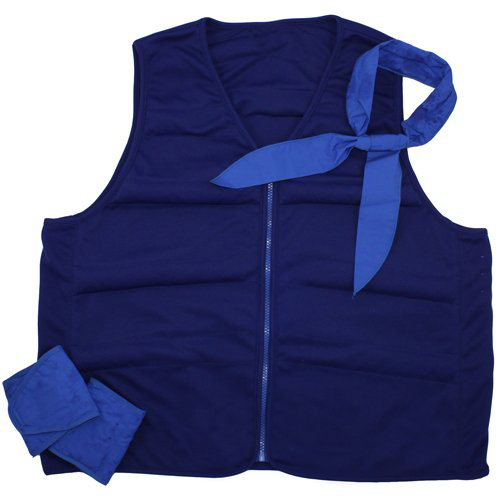 Once activated, the vest will provide many hours of cooling relief in low-humidity climates. Please note: evaporative cooling is best in low-humidity climates. check out our NEW Cool Comfort® Hybrid Technology. 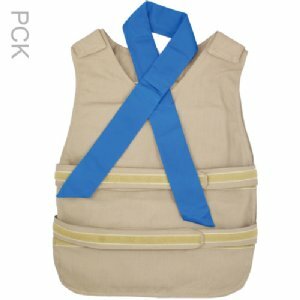 Vest is fitted for a slim, snug fit with snap closures in the front. * Length in front. Back is 2" longer. "MS Awareness" Quick Cool™ Scarf benefit national MS non-profits. Read more about our "MS Awareness" Quick Cool Scarf here. Save money when you buy a cooling kit. 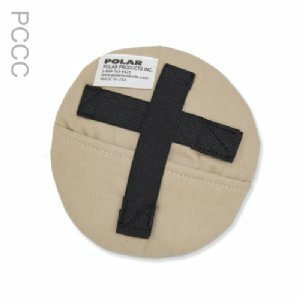 Includes a Cool Comfort® Deluxe Sport Vest, a Cool Comfort® Neck Band or Neck & Upper Spine Wrap, a pair of a Cool Comfort® Wrist Wraps, and your choice of cooling hat! Products can be used separately as needed or together for maximum cooling benefits. For more information, check out the Cool Comfort® Kit. Please contact us for government contract pricing. 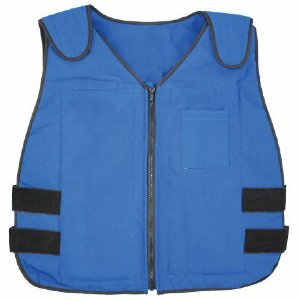 Details: I have MS and work in an warehouse and it does get very hot, wearing this cooling vest really helps alot!!! I recommend it highly!! Thanks Polar Products! 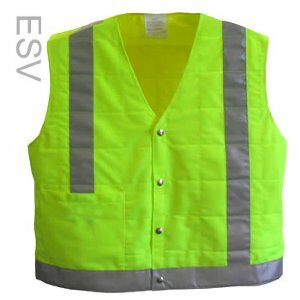 And my co workers are going to get in the action with the vests!!! Would you recommend this to a friend? : YES YES YES! !